Inspiration taken from NaptimeChic’s Etsy shop. Description: Stained or painted these easy to make wooden panels will add to your Valentines Day mantle or wall! 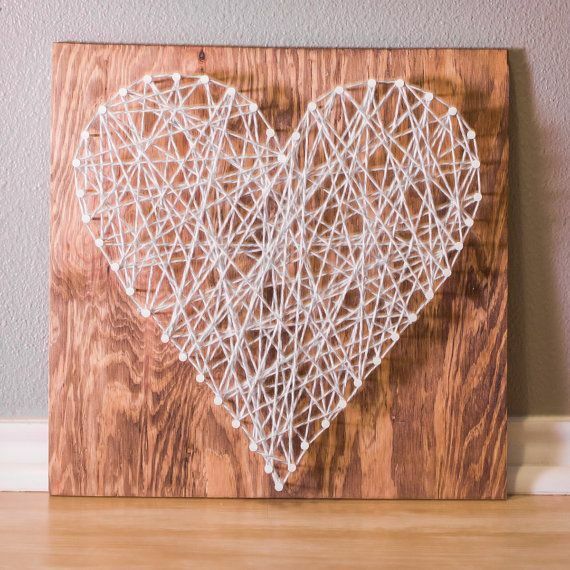 Supplies include: 12″X12″ Birchwood panel, paint/stain, heart pattern, nails, red/white or pink/white or white baker’s twine. RSVPs for this craft are due by Friday, January 31 so we can buy supplies ahead of time. Already have plans? This craft is available as a kit.